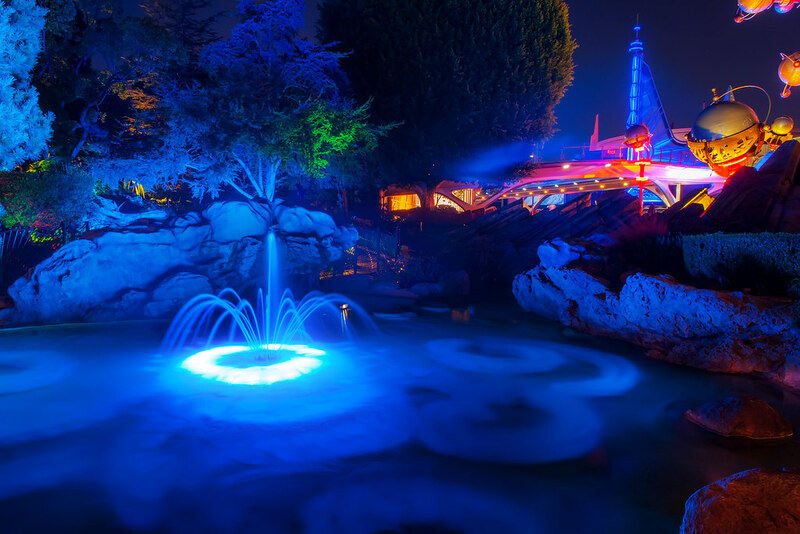 Here’s the fountain between Tomorrowland and the castle that puts on a little light show at night. For some reason I wasn’t able to make this one in Photomatix with any satisfying results, making this possibly the first hand-made HDR photo in my gallery. This entry was posted in Tomorrowland and tagged astro orbiter, Geyser, Pixie Hollow, tomorrowland. Bookmark the permalink.